Lead is not a good word to have around your lipstick. 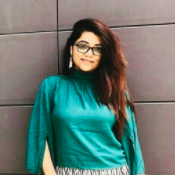 There has been much furore about various cosmetic products containing lead and one of the most potent formulations are found in, ahem, lipsticks. The Food and Drug Administration (FDA) has done testing and virtually found the presence of lead in every lipstick! However, making things easier for the industrialists, a certain amount of lead is permitted in cosmetics by the FDA. Yet, medical experts maintain that there is no safe level of lead exposure. 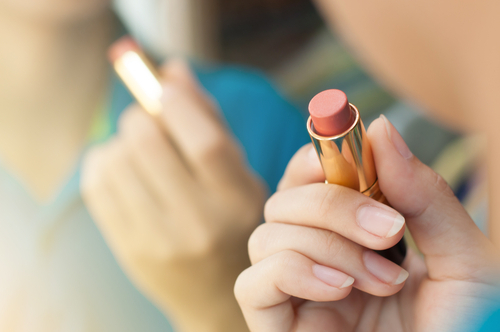 If you are worried that your lipstick may contain lead, you can do this simple test at home. 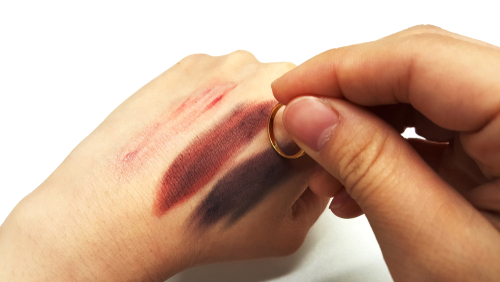 All you need is the lipsticks you want to test and a gold ring or a pendant. 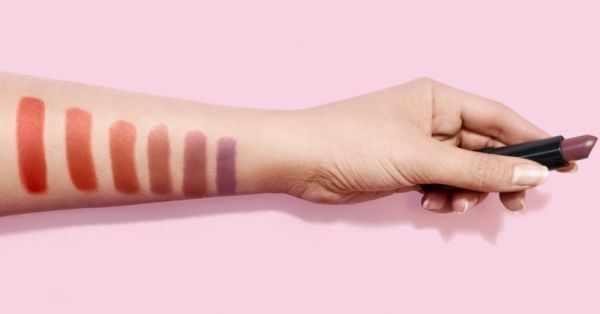 Start by putting two swatches of the lipstick you want to test on your skin. Now, rub the gold ring or pendant on one of the swatches so that you can compare the two. If the colour of the lipstick changes, it contains lead. If it goes darker and starts getting towards black, the concentration of lead is more. However, if the colour remains the same, your lipstick is free of lead. To get a clearer idea of what we are talking about, you can also see these videos. Why lead is the devil! What cosmetic brands say is that even if their products contain lead, it is well within the 'safe range' deemed by the FDA. However, what they choose to ignore is the cumulative exposure to lead that women may be facing. Cumulative exposure is exposure to little amounts of a chemical over a long period of time. A study by the University of California showed that women applied lipstick anywhere from two to 14 times in one day. This led to ingestion or absorption of as much as 87 milligrams of the lipstick every day, with lead in it. Miscarriage, premature or stillbirth in pregnant women, etc. The darker the lipstick, the higher the lead content. It is also believed that lipsticks that stay on longer have higher lead concentration. Avoid such lipsticks. Instead, go for organic options. Make sure you remove the lipstick properly without any residue. Keep children away from lipsticks. Lead exposure in children is more dangerous and can lead to development difficulties. At any cost, keep them at bay from your lead-containing cosmetics.